REVEILLON IS A NEW ORLEANS HOLIDAY TRADITION, MEANING “AWAKENING”. WE ARE EXCITED TO CELEBRATE OUR FIRST YEAR OPEN WITH THIS TRADITION. OUR PETITE REVEILLON MENU STARTS OUT RIGHT WITH A SIGNATURE COCKTAIL, LEADING YOU TO SALTY, SMOKEY, CRISPY BITES, AND ENDING WITH OUR DECADENT CHOCOLATE RUM CAKE. 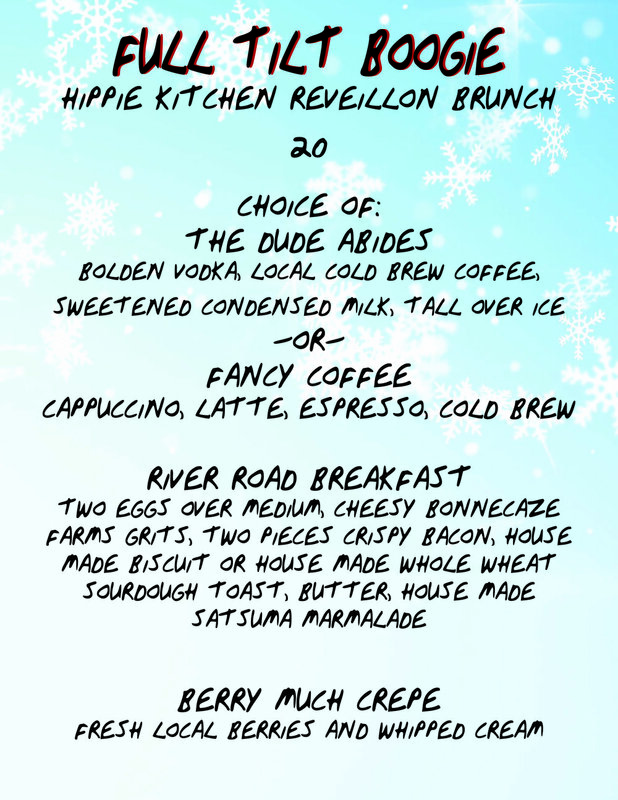 OUR BRUNCH REVEILLON MENU WILL OPEN YOUR EYES WITH OUR FAVORITE COLD BREW COCKTAIL, FILL YOU UP WITH A RIVER ROAD BREAKFAST PACKED WITH LOCAL GOODIES, AND SEND YOU OFF TO A SWEET START TO YOUR DAY WITH A BERRIES AND CREAM CREPE. 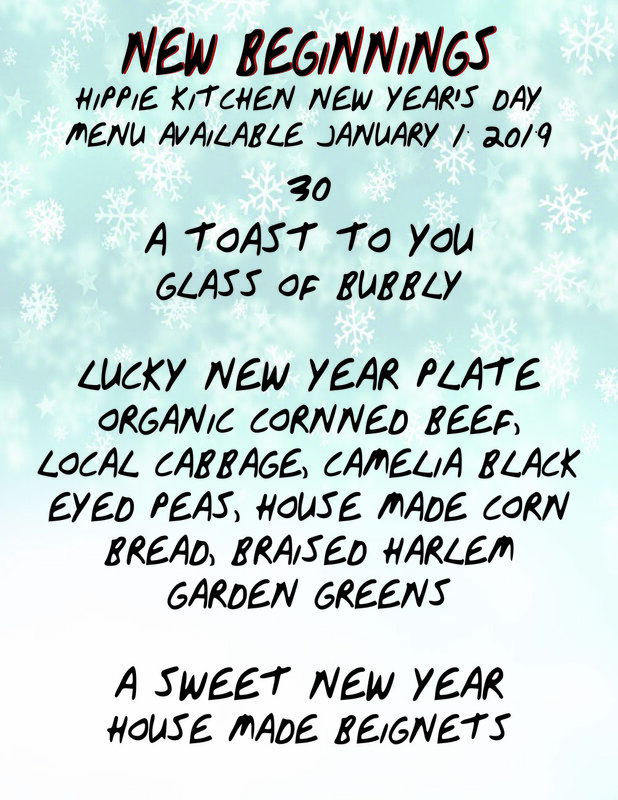 ring in the new year with hippie kitchen’s traditional lucky new year menu! our new year menu will be available only on new year’s day, 01/01/19. let’s make it a sweet new year!